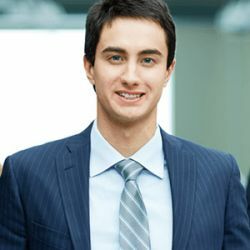 Gregory Pickering is a 25 year old chartered accountant. His most noteworthy quality is how unmemorable he is. A humanoid black-metal eidolon with angular spiral flairs and colour-cycling neon inner lighting which reflects across his faceted surfaces. Being X enjoys beautiful design and technological artistry. He believes that not using the best products, materials or tools is evidence of a moral failure of some kind. He also believes that logic is the pinnacle of intellect, however making people aware of their inferiority is possibly a sign of weakness. "God", "Yes, that God", "The One True Creator of Everything"
Being X is an unknown. Was seen by some at the March 2019 Protectorate memorial. "Hi, I'm the One True God, Creator of Everything. But you can call me Being X, because I assume you don't believe me." "That's a very inside-this-universe question." "In the beginning there was the region of existence that cannot be put into words in any language that exists in this universe. It was alright, but a bit of a chore." "[M]ake the best things from the best stuff. That's just ethics." "Hey, Mr G Man, you don't seem to mind that none of us believe you." "Well obviously. I created you. You don't need to believe in me, and I don't particularly have to believe in you all either." "I never said I was omnipotent or omniscient. In fact, if you'd bothered to ask I'm not omniscient by choice. Makes life more interesting." "Because it would be boring knowing everything." Mizuki said as though repeating with a sigh. "Exactly. More fun just to read someone's texts." Might be a crazy wizard? Or a very strange mortal? This page was last modified on 17 April 2019, at 10:56.